The first step when considering an IVA is to contact our helpline or consult an adviser through another reputable source such as the National Debt Line or the Citizens Advice Bureau. When you contact us we will first help you ascertain your current financial situation by asking you a series of questions. If it advised that an IVA would be the best course of action then an Insolvency Practitioner (IP) will be assigned to review your financial situation. There are some people who may be better served if they contacted with creditors first and tried to reach an agreement independent of the IVA process. Creditors want to spend less money when chasing debt and will be found to be more than agreeable if a debtor is forthcoming and open. It's only when a debtor denies the debt or refuses to discuss its existence that creditors will decide to pursue alternative recovery methods. For debts that total less than £15,000, an IVA is generally not considered to be the best path to take. If you are likely to repay the debt within the next few years, it is simply not appropriate to institute the IVA process. Without an IVA, creditors will have the opportunity to seek an alternative remedy, however if you are open in regard to your financial situation the creditor will often be amenable to allowing an external solution. This is often the case if you exercise some transparency with your financial affairs so that the creditor will find it is not economically viable to pursue the debt outside of a personal agreement. 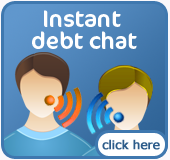 Certain debts cannot be included within an IVA. These will normally be secured debts, such as mortgage arrears or a vehicle HP. Other debts such as rent and Council Tax arrears and fines will normally have to be paid and provision for repayment of these debts will be done separately. The IVA will need to be agreed upon by the creditors at the Creditor's Meeting before it will become legally binding. At the meeting there is a complicated voting procedure by which all IVAs are either accepted or rejected by the creditors. An IVA will also often be accepted with conditions attached. These conditions are called Creditors Modifications and can range from how the IVA will be managed over the five years by the IP, through to the size of the monthly repayment you will be responsible for. If there are any modifications made to the IVA Proposal at the Creditors Meeting, you will have an opportunity to accept or decline the changes, before the IVA becomes legally binding. For an IVA to be legally binding, there must be in excess of 75% of the monetary value of votes cast in favour of the IVA being accepted by the creditors. Once there is an acceptance of the Proposal by the creditors at the Creditors meeting, the arrangement becomes legally binding, whether they voted in favour or not. Equally, should a creditor decide not to vote at all, they would be bound by the decision of the other creditors that did vote. 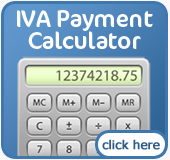 When the creditors have accepted an IVA it is then recorded in the IVA Register for the full duration of the term.